Everybody needs a little Strange once in awhile, and tonight’s the night Boulder! These indie twangin’, boot swingin’, booze slingin’ boys will be busting out their best bolos for you at The No Name Bar this evening. The five-piece has been working on some sweet new tunes for the summer! Come on over and dance along! It’s American craft beer week, and Upslope wants to celebrate it with you! They’re throwing a massive bash at their Flatiron Court location that will include brews, several food trucks, 3 stages, and thirteen local bands. The best part? Thanks to Flatiron Subaru, it’s free! Get out in the sun and see Eminence Ensemble, Freekbass, Lady and the Gentleman, Gipsy Moon, Zee Jackson 4, MOONTANG, Punch Drunk Munkey Funk, Booster, Steepland String Band, Realtalk, Reckon, K-Law, and Zen Mustache. Festival deets here. Can’t wait to see you there! Though there have been a few changes in the lineup (most notably when Courtney Barnett was swapped with Best Coast), tonight’s Project Pabst festival is still going to be rad. Hometown heroes Nathaniel Rateliff and The Nightsweats are headlining the gig, with a slew of talented local and national acts tagging along. The Violent Femmes, K. Flay, and others will be helping you party with your PBR tall boy. We will be snapping pics and covering the fest. Stay tuned for our full review; it drops Monday! Full lineup and tickets here. 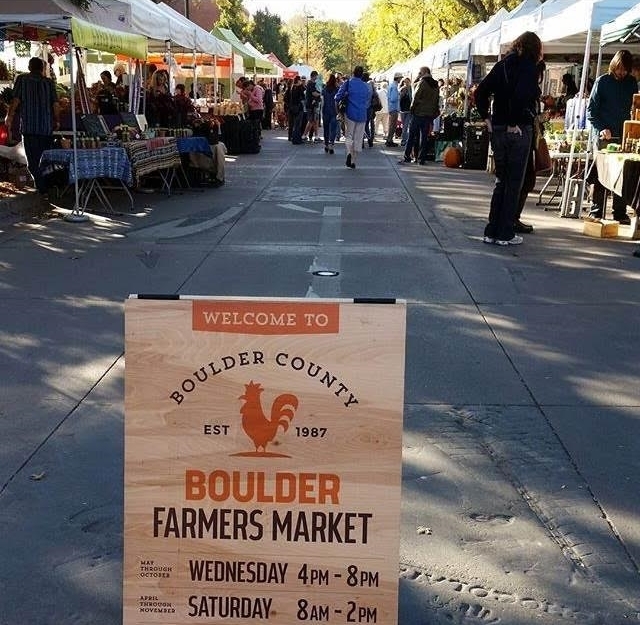 Boulder County Farmers Market is every Saturday from 10AM-2PM, and this year, we’re working closely with BCFM to promote the music at the market! Tomorrow, David Coile will be holding things down at the big red tent near the vendors! Stop by to hear this local singer/songwriter and grab some tasty eats! This week, our Sunday partnership with Green Light Radio and Streetside Productions will feature a track by Colorado Springs’ Hydrogen Skyline. Want the scoop on this female-fronted indie electro rock act? Read our feature on the band here! Make sure to tune in to any of the Colorado Community Network Radio Stations here (95.3 or 95.5 Boulder) or stream Green Light Sunday night between 9-10PM to catch their tune “Victory”!